Find simple pieces, perfect for layering, at gorjana. Looking for a piece that will last not just through this summer, but for many years to come? Stop by these stores for jewelry that stands the test of time. Adapted from Where San Diego magazine. 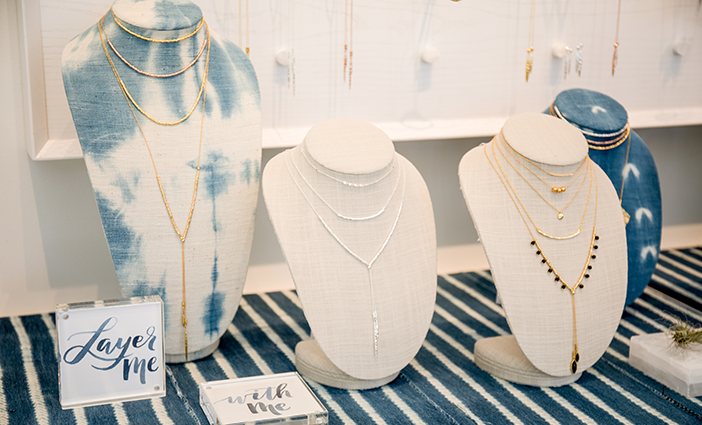 Find versatile pieces with fine finishes at the Westfield UTC’s brand-new store, gorjana—one of several new Southern California locations for the rising jewelry line. Launched in 2004 by husband-and-wife team, Jason and Gorjana Reidel, the celebrity-lauded brand encompasses mid-range priced ($30-$200) necklaces, rings, earrings and bracelets that are both contemporary yet timeless. Peruse delicate designs with gemstone beading—including their popular “power gem” pieces, layered rings, bar necklaces and more. Picture fresh flowers, as though they were hand-cut from paper, then delicately scattered in the wind. Such was the vision behind the new Paper Flowers Collection by Tiffany & Co. The iconic jeweler’s latest line comprises flower-inspired, high and fine jewelry crafted in platinum, diamonds and tanzanites—blue-violet gemstones mined in Tanzania. The statement pieces feel modern, even industrial, yet are balanced with a certain feminine elegance—comprising rings, earrings, pendants and bracelets. Make an appointment for a personalized visit with a jewelry specialist at Brilliant Earth. Looking for a special piece of jewelry for a summer wedding? Brilliant Earth is your spot. The retailer specializes in elegant, sustainable, ethically sourced fine jewelry—including engagement rings, diamond necklaces, earrings and vintage jewelry. 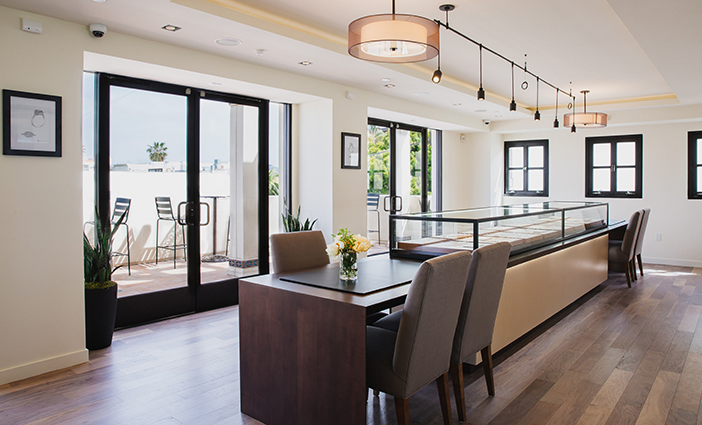 Added bonus: its added showroom at La Plaza La Jolla boasts an ocean-view terrace. Whether it’s a black tie, beach, garden or big city wedding, Brilliant Earth caters to every special occasion. We especially love their new Unity collection, which features a stunning ring-shaped diamond pendant necklace, and a woven circle diamond ring.